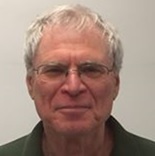 David Forbes, PhD, LMHC, is Associate Professor in the School Counseling program in the School of Education at Brooklyn College/CUNY and an affiliate faculty in the Urban Education doctoral program at the CUNY Graduate Center in New York. I’m honored to be considered for MCE Member of the Month. Your fearless leader, Deborah Orr, and I appreciate each other’s work, and share the Wittgensteinian notion that ultimately it’s not what goes on in one’s privatized heads or in neural circuits that matters, it’s the actual social activity of our lives that creates the context of meaning of what we value, feel, say, and do with and for each other. So I’m a socially engaged broodhist—In my teachings and writings I critically brood on and question the prevalent lack of awareness of the social, cultural, political, and moral contexts in which mindfulness is employed in a neoliberal, racist, patriarchal etc. society. This includes looking at how it’s used instrumentally in corporations, therapy, the military, and how it has become a commodity throughout society, but in particular questioning its purpose and function in education.As things worsen in the US it’s all the more important to defend quality public education from private, market values that harm schools, students, teachers and school counselors. By missing this context some mindfulness practices inadvertently reinforce neoliberal values that throw the burden of care solely back onto the privatized student and teacher and reduce education to a marketable tool. it’s not just about letting go of attachment to the ego, which is rare and hard enough;if you think mindfulness is about compassion, interconnectedness, and non-duality then we also need to take onthe Wego—those social institutions that promote greed, delusion, and ill-will in which we take part. I teach and try to enact an integrally informedcritical and civic mindfulness (e.g. using Integral meta-theory) that includes the prophetic demand for optimal personal development and universal social justice. I’ve been meeting more terrific like-minded folks in North America and Europe, some of whom were included in the recent book I co-edited (below). In 2005 I was a co-recipient of a higher education grant from the Center for Contemplative Mind in Society and was able to develop some programs at Brooklyn College.It’s great working in Brooklyn, one of the most multicultural places anywhere—mindfulness with a critical edge and urban flava. Ron Purser and I have a website, Mindful Cranks, (www.mindfulcranks.com and on Facebook) on which we post our podcasts with people who critically reflect on how mindfulness gets practiced today. Boyz 2 Buddhas: Counseling Urban High School Male Athletes in the Zone (Peter Lang, 2004). Icounseled and taught meditation to high school athletes in Brooklyn. We looked at attachment to conventional masculinity as well as issues of racism, schooling, friendships, and relationships with women. “Search Outside Yourself: Google Misses a Lesson in Wisdom 101” (2014, March 5), Huffington Post, http://www.huffingtonpost.com/ron- purser/google-misses-a-lesson_b_4900285.html With Ron Purser. “Critical Integral Education: School Counseling,” forthcoming, in The Intersubjective Turn in Contemplative Education: Theoretical Foundations, edited by O.Gunnlaugson, E. Sarath, H. Bai, and C. Scott.